Try out this free virtual-reality demo for the Oculus Rift. 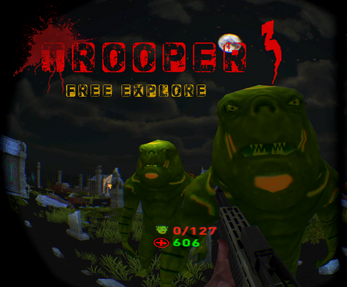 Explore an abandoned graveyard, and test your system's compatibility for Trooper 3's full version. Please install the Oculus Rift Runtime 0.4.4beta, or 0.5 or 0.6 from https://developer.oculus.com/downloads/ . Trooper 3 currently does not work with the 0.7 runtime, sorry for the inconvenience. Test that your Oculus Rift headset is working by testing with the Configuration Utility bundled with the Oculus Rift Runtime.